What is the perfect trail riding bike? Light and zippy or solid and reliable? 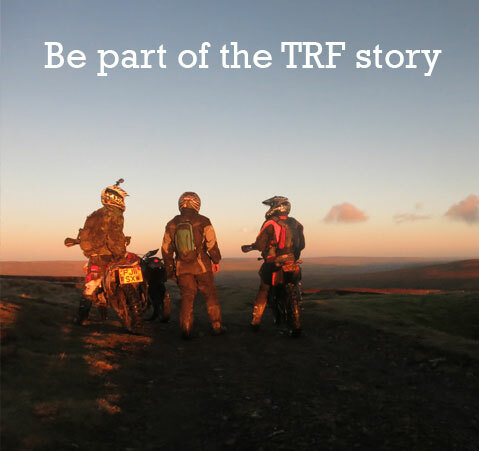 There's no answer that everyone will agree on but within the ranks of the TRF there's a bike that has a long and passionate following. The Honda CRF 250L. 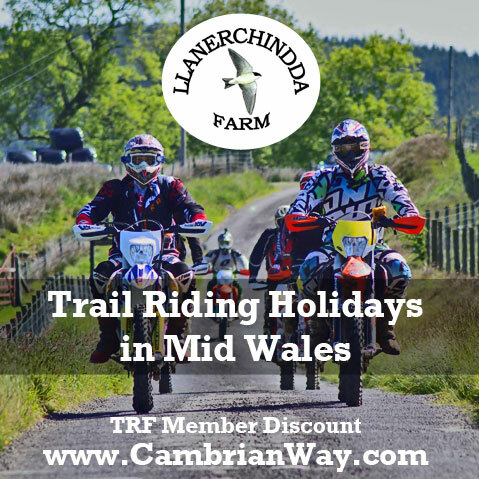 TRF member Marianne Walford likes them so much she put together a unique day of trail riding in Wales. If you wanted in, you had to be riding red. 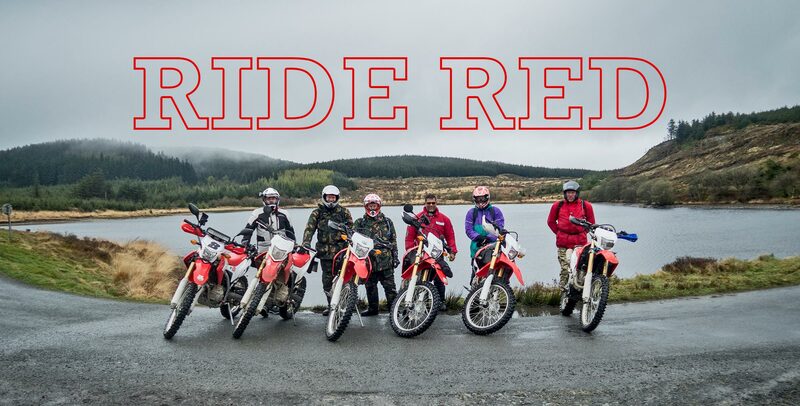 After two weeks of marvellous sunny weather, 18 riders of Honda CRF250Ls, gathered on a gloomy morning at the White Lion Hotel in Machynlleth, Mid Wales, with one assistant on a blue bike. There were men from age 29 to into their seventies (I was too polite to ask!) but unfortunately no women riders, apart from myself who was a leader. 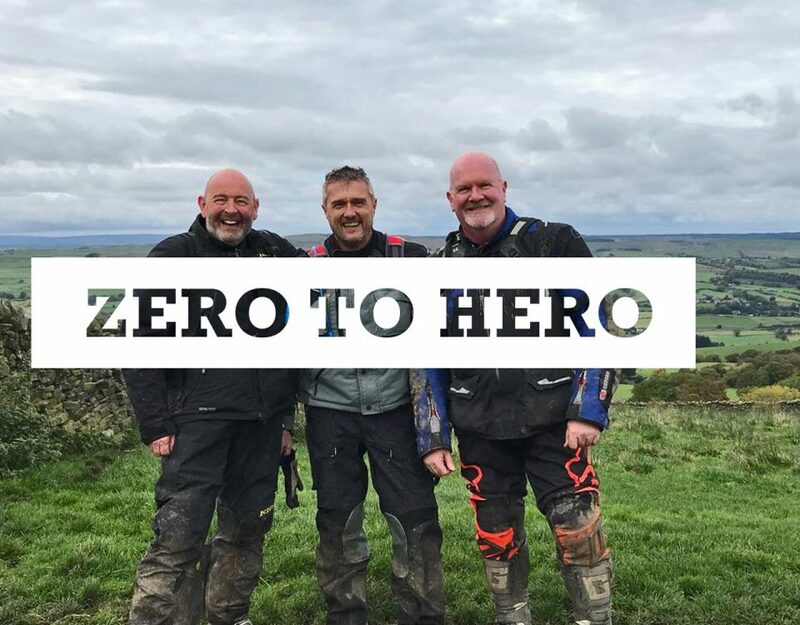 Some riders were hugely experienced trail riders of many years, with all levels of experience through to two riders taking their bikes on green roads for the first time. Some bikes were straight out of the showroom, whilst others had quite a few mods. Three levels of ride were offered: Colin was leading the challenging route, and much to our surprise, he only had two takers, Matt and Steve. 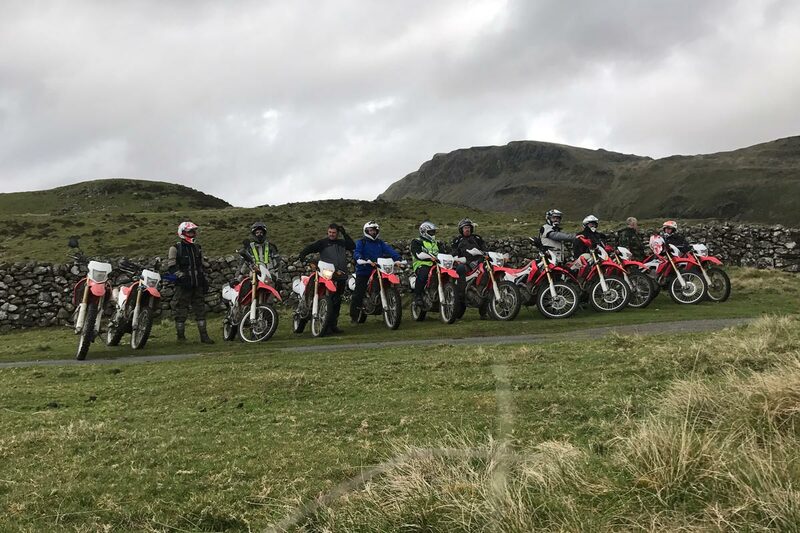 Marianne was leading the least challenging ride, aimed at those with little or no dirt riding experience and people who preferred a more gentle day, such as those with the original equipment Bridgestone tyres which are not at all mud-friendly. 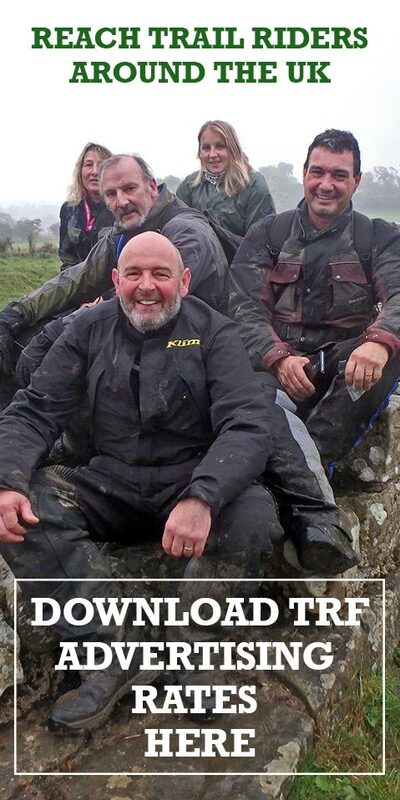 Her group included Chris, John, Dave from Anglesey, Dave from Teeside, Kevin, Steve, Jim and Mike. Hywel, with tail-end assistance from Graeme on the blue bike, led the intermediate group of Hugh, Andy, Dylan, Bill and Mario. 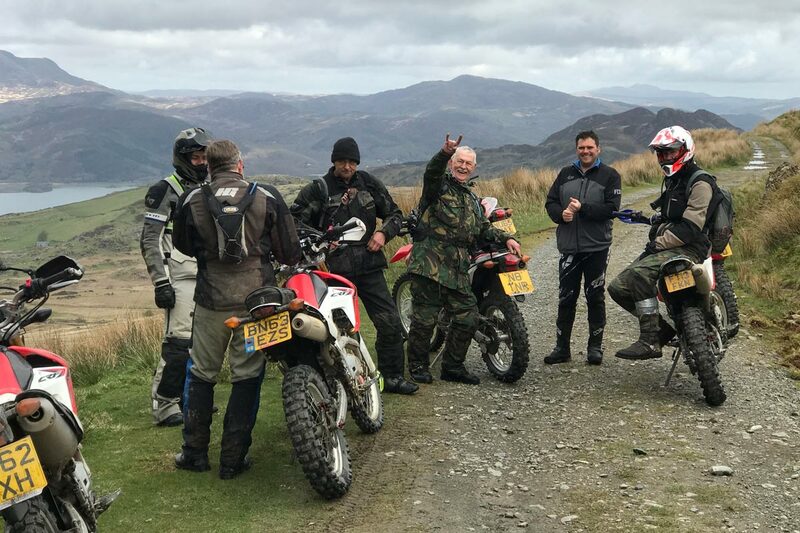 We all went to the Nantymoch area on Good Friday. 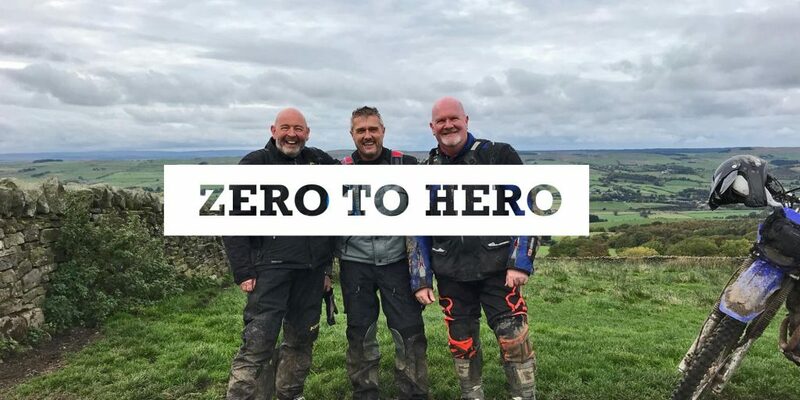 My group set off first, but one of the lads picked up a stray wire which tangled and bent his gear lever on the first green lane. I had a spare, an aluminium RFX one. John remarked that they are no good, as they break easily. I said that this was actually why we used them, because the Honda original ones were too strong and the gear shaft could bend, which was much more expense and hassle than replacing a lever. While this was being fitted, Colin’s group passed by. 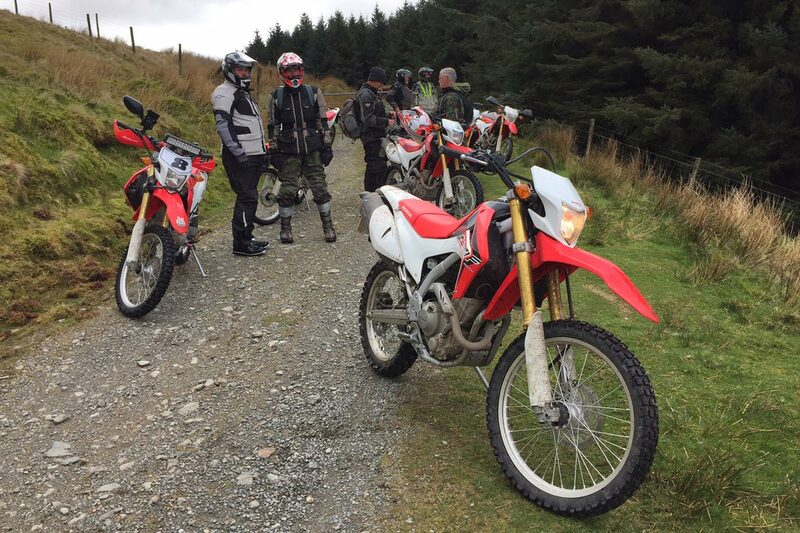 The area inland from Aberystwyth has lots of choice and all three groups rode separate routes. Colin came to lunch via the very steep hill from Cwm Rheidol to Ystumtuen. The rain was persistent, and the views non-existent, which was a pity as on a good day, it is very scenic. It was with some relief that our group arrived at the lunch stop of the George Borrow Hotel. While we were tucking into baguettes and chips, Colin, Steve and Matt turned up. I wanted to take a picture of all 18 bikes together, but we waited for Hywel and still his group didn’t arrive. Eventually we left and we passed them coming the other way, so they did get some lunch after all. Colin took a shorter rougher route back to Machynlleth, risking a nasty river crossing. I must admit I cut out some of the planned route, as the rain was not letting-up, and it really wasn’t very pleasant. We were both back by 4.30pm but Hywel’s group had a longer day, not arriving until nearly 6pm. 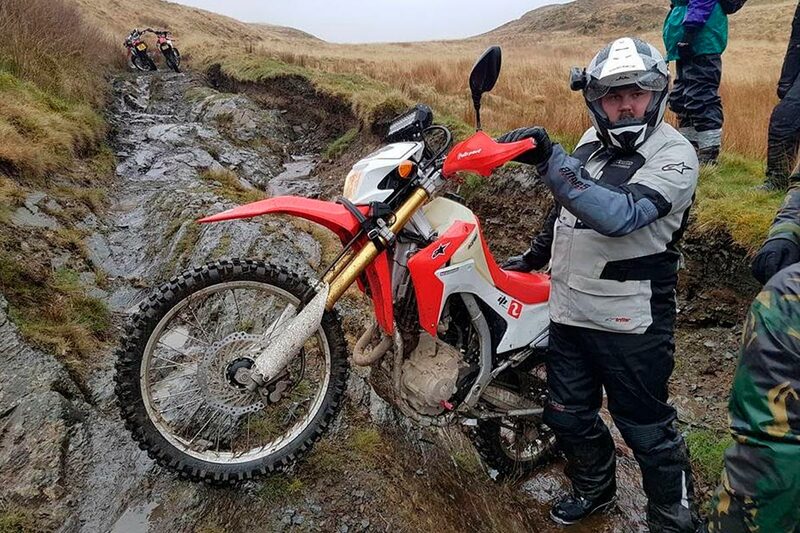 There were fewer riders on Saturday, as John and Dave from Anglesey had only planned to ride on Good Friday, while poor Dylan had camped which was a huge mistake in the appalling weather. Hywel and Graeme weren’t available, so there were just two groups. We both went north but my group stayed on the easier going. After lunch in Dolgellau, the groups again went their separate ways. 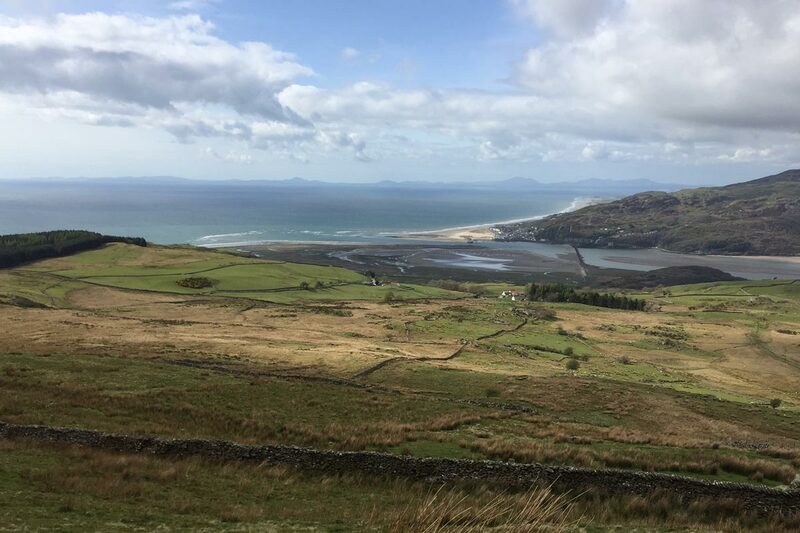 Marianne’s group went north and crossed the Barmouth Bridge which is a permissive route, and took in a scenic little-used lane with a shallow but very slippery stream crossing – caught one of us out! Colin’s group just happened to be at the beginning of the next ancient road, Ffordd Ddu, so we all rode together for a bit. Saturday’s weather had improved and there was even some blue sky in the afternoon, but over all it was still pretty gloomy. However, the rain didn’t seem to dampen most riders’ spirits. I think we will do it again next year! 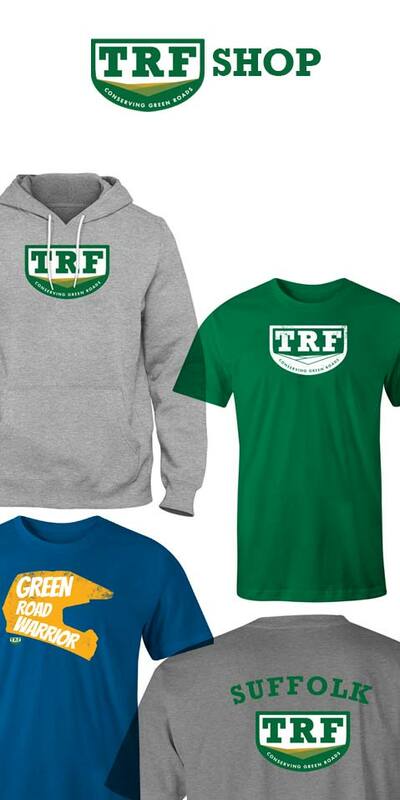 You don't need a CRF to ride with the TRF. 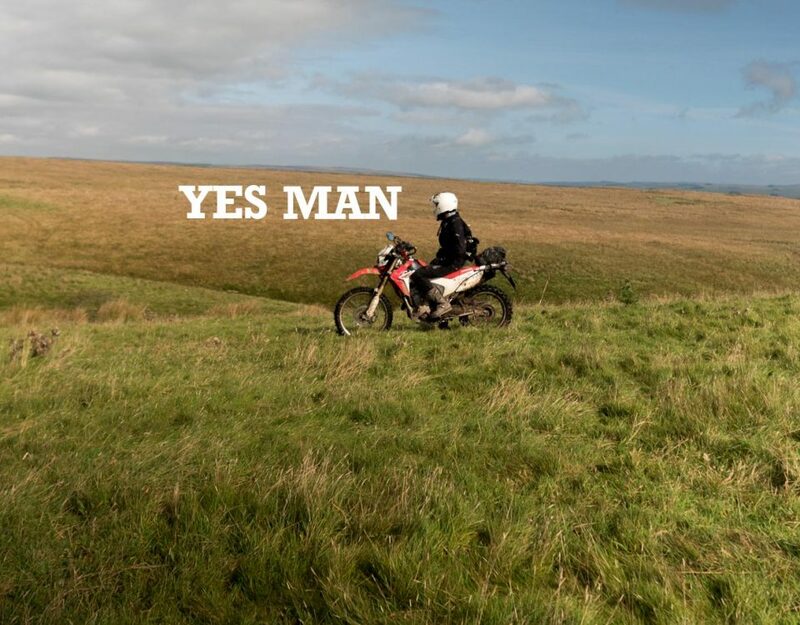 We not especially fussy about the colour of your bike, we'd rather you were keen to explore England and Wales with an adventurous and responsible attitude. Find out more about how we conserve Green Roads here.